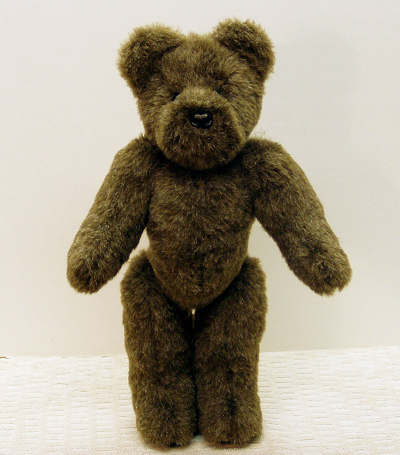 This is the base 16" bear before outfits are added. Height is an average height. The actual height varies between fur types. Outfit prices vary based on their complexity, but generally cost $8-$18. If you choose not to have the bear dressed up, your choice of a lace collar or a bowtie will be included. The size pictured is: 16 inch bear (slim).